If anything happened to my iPhone 6s, I’d be gutted. All the photos I take are taken on my phone. So, knowing how important my phone is, I would be crazy not to have a case for it, not to mention how expensive it would be to get it fixed if dropped. I chose the ‘Personalised Silicone case’, which retails at £14.99. There is the option of choosing one from their collection, or designing your own. I obviously chose my own personalised design. The whole ordering process was so quick and simple. Select the case you want, for which device, then choose your own personalised case or a pre designed case. If you choose to upload your own picture you can position it yoursef on the case so can you see exactly how it will look on your case. 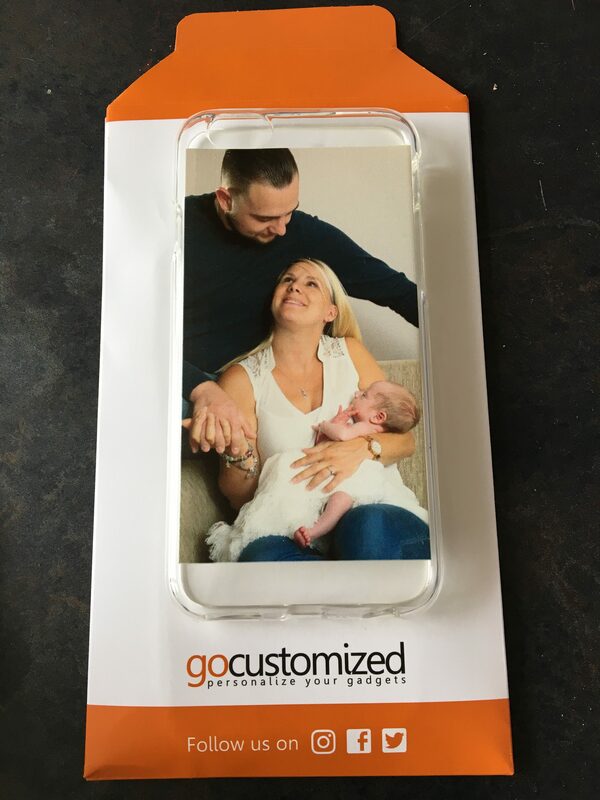 Would I order another phone case from Go Customized again? Absolutely. The personalisation options would make it a great gift and I was impressed with the speed of service and quality. *I was sent this case free of charge for the purpose of this review. All thoughts and opinions are my own.